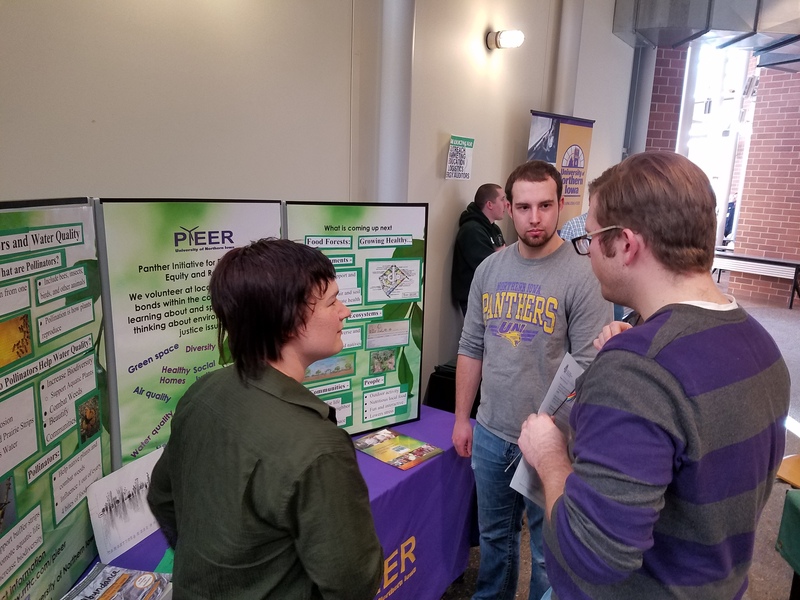 On Saturday March 4th, PIEER tabled at the Connect and Engage fair in the CEEE (Center for Energy and Environmental Education) on the UNI campus. The event involved a variety of groups from the community including: the Sierra Club, the Dry Run Creek foundation, Black Hawk County Conservation, Black Hawk Democrats, Allen College’s Department of Women’s Health, Cedar River Festival, the RRTTC, Information about collective bargaining, and many more. Active lectures were held in the lecture hall about current social justice issues facing Iowa, and a three-part band played smooth jazz in the middle of the main hall. Snacks and beverages were also available. 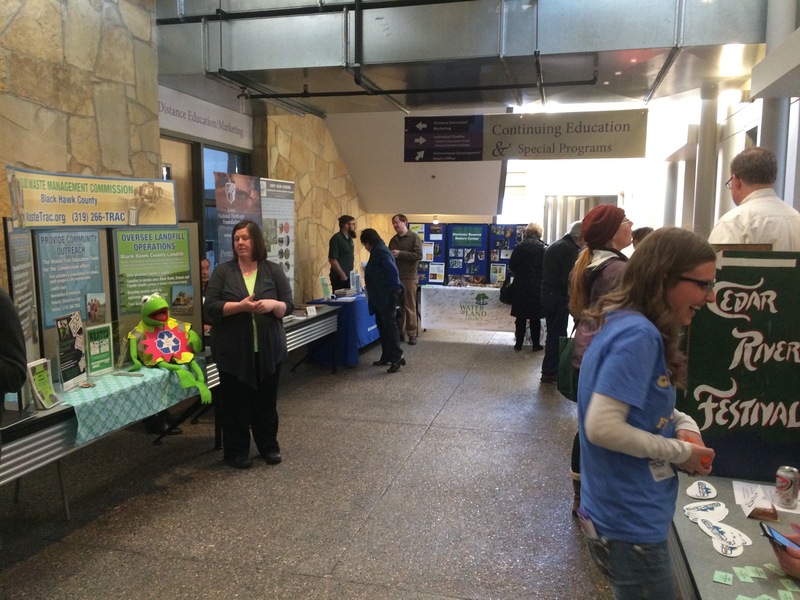 Information PIEER promoted and displayed included Pollinators and Water Quality, information about Food Forests, current plans to create a food forest on campus, key ideas of the book Abundance, the sustainability certificate, and how we benefit campus and our members. Members present at the event included Tyler Dursky, Julie Grunklee, Leslie Fink, and Anna. All members walked around and interacted with various groups at the event when not at the table. Around 300 vendors and attendees were present.